We Are American Dental Association Members. Why Choose An ADA Member? Blog We Are American Dental Association Members. Why Choose An ADA Member? Your smile is an extremely important part of who you are. It is your first impression, and it is how you greet a friend, life’s joyful moments are celebrated with a smile, smiling will always make someone’s day better. We know how important your smile is to you and those around you. That’s why Dr. Ellen McOmie and Dr. Mark McOmie are members of the American Dental Association (ADA), this helps us provide our patients at our Chattanooga dental office with the most up to date and best patient care anywhere in the country! The American Dental Association was founded in 1859. It is a not-for-profit association with more than 161,000 member dentists and serves as the leading source of vital information about oral health for both dentists and their patients. The mission of the ADA is to improve the population’s oral health. We have all seen the ADA seal on different dental products. This program holds consumer oral health products to the highest standards and ensures they actually do what they claim they do. The American Dental Association Seal of Acceptance Program has placed this seal on thousands of dental products over the years. This way you can trust the effectiveness of the products you buy at the store things like toothbrushes, floss, toothpaste, mouth rinses, gum and much much more. Because both Dr. Mark and Dr. Ellen McOmie are both ADA member dentists, you can trust that all the dental procedures they do are met to the highest standards of the ADA. Every procedure done at our Chattanooga dental office by our dentists are done to the highest quality and ethical standards set forth by the ADA. What Does Being An ADA Member Mean For Our Patients? It means our dentists are part of the Chattanooga dental community, the state of Tennessee dental community and the dental community of the United States as well. The doctors McOmie go to a monthly local dental meeting that always has continuing education. They get to know the other dentists in Chattanooga and network with them. This allows our doctors to talk about procedures materials and know what others are using and how it is working. There are always new challenges in dentistry. Such as osteoradionecrosis or dead jaw that is being caused by a drug used to treat low bone density. Right now many cancer patients and people over 60 are taking it. This can cause a jaw problem where the jaw bone actually dies. How to treat this condition is still a little unknown, there is research being conducted and things being done with varied results. At a recent meeting, our dentists talked to many of their colleagues about how this particular challenge is being met. This gives our dentists an advantage by knowing what is being done and what is working and not working to treat this condition. This is just one example of many of what is learned through being members of the ADA. Both of our dentists hold leadership volunteer positions within the structure of the American Dental Association. Currently, Dr. Mark McOmie is the Secretary of the Chattanooga Area Dental Society which is the American Dental Association’s local component. Next year he will be the Vice President then the following year he will be the President. It is a volunteer position that he has committed five years to be a part of the board of directors. He has held many positions in the local component dental society his last ones were Treasurer and Program Chair. While being program chair, he brought national dental speakers into Chattanooga to speak on current dental topics. He served for four years on the Tennessee Dental Association’s Scientific Council. Dr. Mark McOmie believes that being involved in dentistry is what makes the profession great. We can learn from one another and pool our knowledge, and this ultimately benefits the patients that McOmie Family Dentistry serves. Interestingly the first position Dr. Ellen McOmie ever served in dentistry was a national position for the American Dental Association. She was the National Consultant On Dental Ethics she sat on the ADA’s Council of ethics. Most dentist in Chattanooga and even Tennessee never serve on a national council. There is not currently another dentists in Chattanooga that has ever held a national position. This is very rare and a high honor. She has also held many positions within the Chattanooga Area Dental Society. She has been on the board of directors several times over the 20 years she has been in dental practice in Chattanooga. 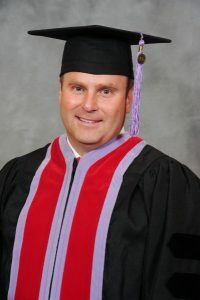 Dr. Mark McOmie when he was inducted as a Fellow in The American College Of Dentists. Over 450 dental products is the number of products our dentists have been involved in researching. We have participated in live patient studies on bio-active restorative materials where we placed different brands of FDA cleared glass ionomer bio-active filling material along with control materials in posterior fillings on a molar. Patients were given the opportunity to participate then the research organization pays those patients each year to return to have the fillings photographed and an impression made of the material. We are currently in year 2 of this 5-year study. Doing active research helps our doctors know more and posses this knowledge earlier than other dentists. We understand the materials we use on a molecular level how it works and the different places in a mouth it works and doesn’t work. Some dental materials work well on the biting surface other materials work great at the gum line but not as well on the biting surface. Our dentists feel it is their job to know what works best where and to do this type of excellent dentistry for our patients. Right now in our office, we have a molecular iodine mouth rinse coupled with a Waterpik that we are testing on our patients with gum disease. This is an FDA cleared product that has been on the market just a few weeks. Sometimes a product will make claims it does things that it really doesn’t, or sometimes a product is simply too hard to use. If it is a take-home product that takes too much time to use or to much skill to use it likely won’t lead to success clinically because patients just won’t use it. We want to know these things first hand. We have a product we are testing right now that is a fluoride varnish that also has hydroxyapatite in it. This could serve advantageously because teeth are made of hydroxyapatite if we can put that back on a tooth when it gets eroded off it will actually return the tooth to its natural state. We are testing the handling, taste, ease of use, etc. We live in exciting times in dentistry. There is what is called the “dentist education half-life” meaning half of what we knew is outdated in how many years. In the 1970’s it was thought that a dental education half-life was ten years. Meaning ten years after a dentist graduated from dental school half of what they learned is outdated. Today a dental half-life is three years. Every three years half of what we know as dentists is outdated. Dental technology is moving at the fastest pace in the history of the world. We are excited and love to stay on top of this. Dr. Mark McOmie is frequently asked to consult for dental companies on a variety of dental topics. He has over 12 articles published in national publications. Including The ADA Dental News, Dental Economics, The Journal of Cosmetic Dentistry, Dental IQ, ADA Dental Product Guide, to name a few. The point is our Chattanooga dentists are top notch up to date professionals. We care about our patients, and our profession both benefit from our dentists going the extra mile to keep their knowledge current and being leaders among dentists. Our top priority is our patients’ safety and happiness. We’re always willing to go the extra mile to ensure that we are providing the best care to every single person who comes into our office! We work tirelessly finding ways to make things easier for our patient’s ways to make them more comfortable. Finding ways to make the dentistry we provide more beautiful and ways to make it last longer is something we are always after. As ADA members, Dr. Mark McOmie and Dr. Ellen McOmie are continually improving their skills and learning how to serve you better. Why? Because you deserve the healthy smile of your dreams, and we’re here to make that dream a reality! Whether it is in the area of implant dentistry, cosmetic dentistry, fillings, crowns, or anything else we want our patients to have the best available in the world. Thank you for choosing our practice! Give us a call 423-899-1112 we want to serve you and give you the best dental experience of your life.